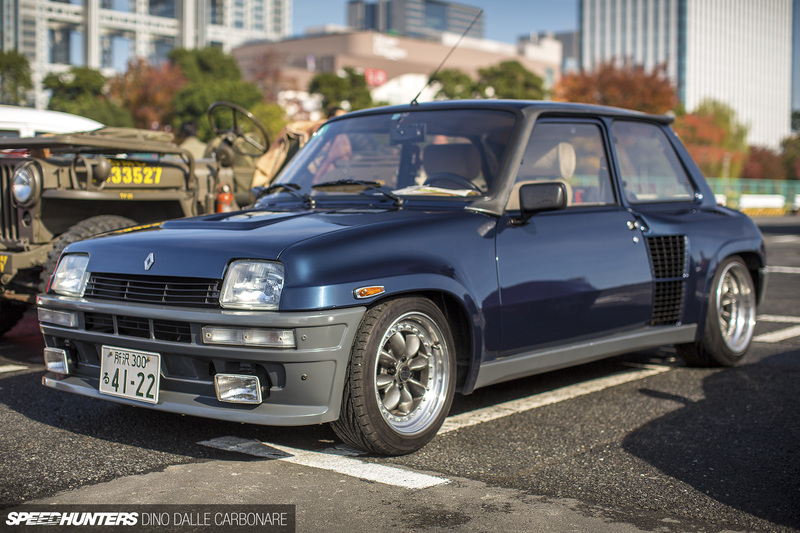 To wrap up my coverage from Old Timer magazine’s Kyusha Tengoku event held at Odaiba in Tokyo last weekend, I couldn’t resist dedicating a little spotlight to this Renault 5 Turbo 2. Because, what is there not to admire about this car? 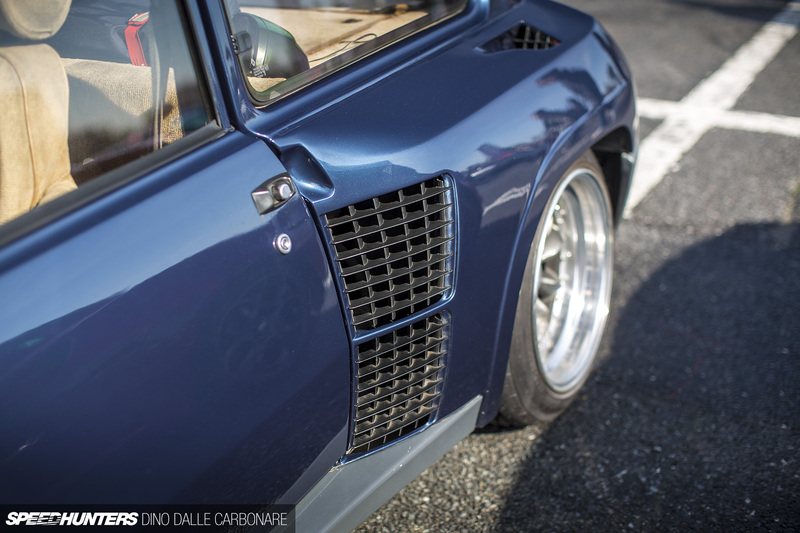 It perfectly embodies what is lacking from manufacturers these days, as well as motorsports. Nowadays there is no need to build homologation specials, which makes it far easier for manufacturers to create race cars out of plain production models. But once upon a time, during a magical decade called the ’80s, there was a lot of craziness and excess, and for a manufacturer like Renault to compete in motorsport, a machine like the Turbo 2 had to be made. And thank God for those times, as it showed us how wild things can get if there are little rules and regulations holding things back. 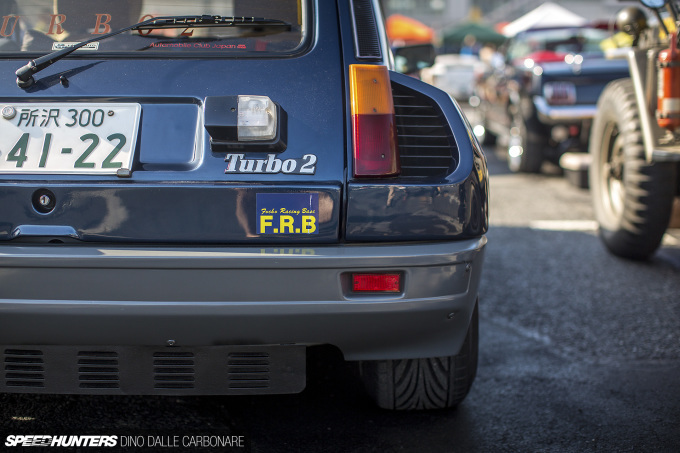 The Turbo and Turbo 2 were built to homologate a mid-engined, rear-wheel drive version of the front-engined, front-wheel drive R5 so that Renault could take on the Lancia Stratos in the World Rally Championship. To achieve this, Renault moved the engine from the front of the car to the back and reengineered the suspension around it all. 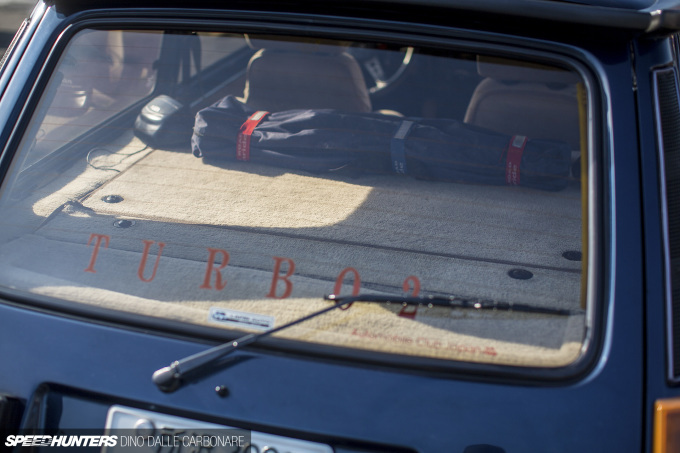 With turbocharging, the Turbo 2 output around 185hp in road car guise, the drive sent through a 5-speed transaxle. By comparison, the full-blown Turbo 2 rally car produced 285hp, still using the 1.4-litre engine, while the later Renault 5 Maxi Turbo increased that to 350hp with a 1.5-litre engine. This particular car was sitting on Panasport G7 wheels, but apart from that upgrade it looked completely stock. Or as stock as an homologation special can be anyway! 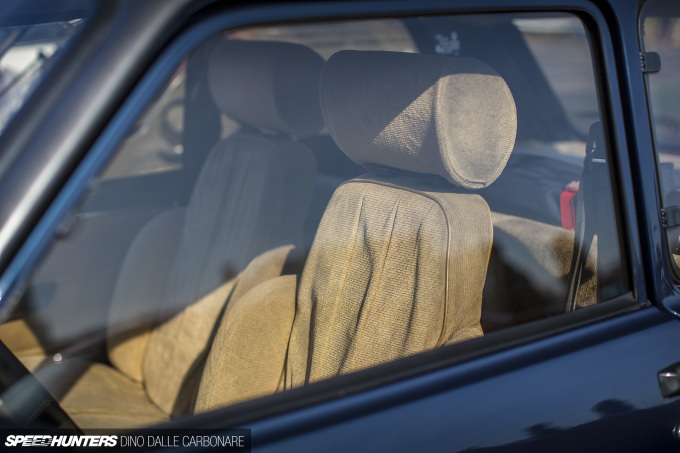 The interior was in great condition for a 30-year-old old car, and you just have to love the carpeted engine cover. Check out the extra girth the stock R5 body gained for this rally-bred variant. Renault also opened as much venting as possible to help keep the highly-strung turbocharged motor from overheating. 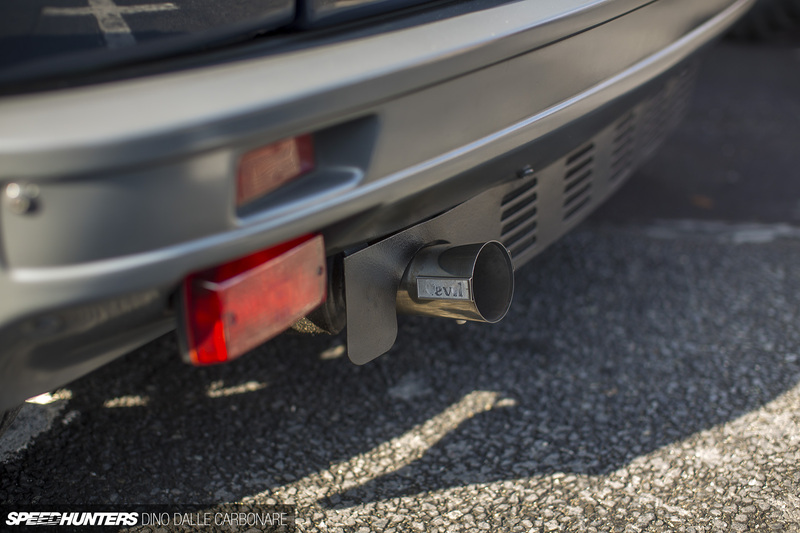 Upon closer inspection I also spotted that the car was running a Devil exhaust system, potentially good for an extra few bonus horses thanks to a bigger bore and less restrictive design. I bet it sounds great too. Damn the ’80s were great! Sorry ignorant guy here, but are LHD vehicles allowed in Japanese roads? 80's Homolgations are not only gloriously bonkers but they are a gift to modern performance road cars too. 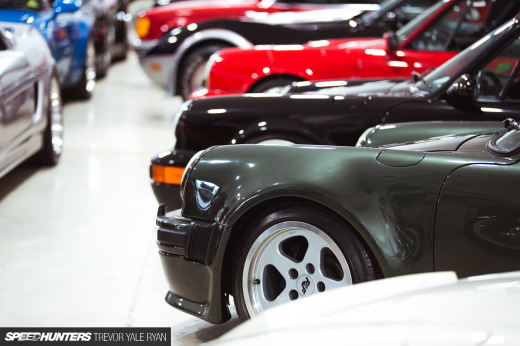 They drove innovations such as sequential turbocharging and switchable 4wd systems and gave birth to legends like the F40 and the Porsche 959. The Turbo 2 was brilliant, you still see them fairly regularly on the road at events in France too. Cracking pics there bud! split_fire Indeed they are. 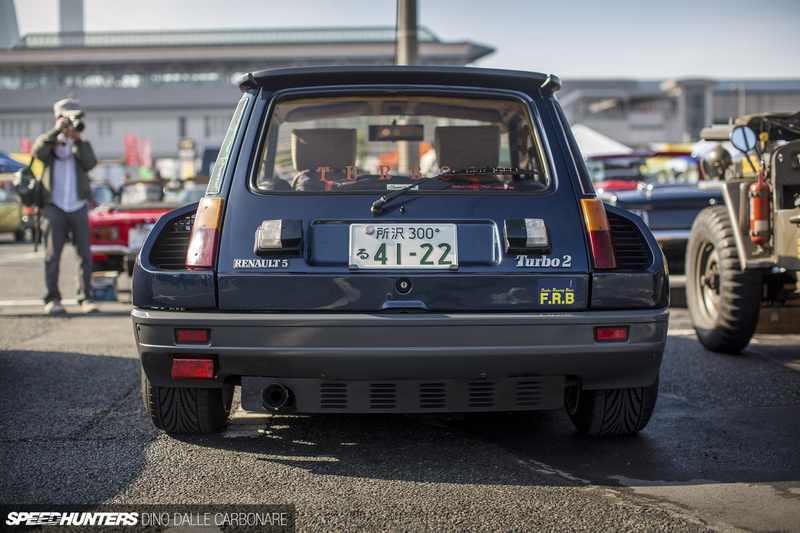 I owned a LHD Clio 172 that had been imported from from Japan. Back there it was called a Lutecia. Had a CDA carbon intake & Fujitsubo exhaust, I dearly miss it. @Dino : "I bet it sounds great too" Don't know if it's great but surely louder :p.
This one is tracked very regularly and fitted with a LSD. Stock power but definitely fast! 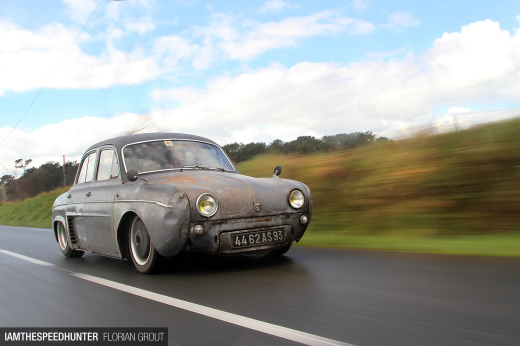 Flavien Vidal split_fire Doesnt that makes problem with overtaking? I mean if you overtaking truck you have to take whole side of the car out of the lane just to see if there is someone. BozoMotosport Flavien Vidal split_fire Yes and no, there is very little lane etiquette on Japanese highways, people undertake way too often! Flavien Vidal What's a Ferry? EchoAlphaEcho My pleasure, glad you liked it. But wait, what about the new Renault Twingo? That's got an engine in the back! speedhunters_dino EchoAlphaEcho Wait I forgot because which was announced at Geneva, probably because I was focused on the Clio. Thanks Dino, this is why I come to Speedhunters, to not be judged and to be free to express my thoughts! EchoAlphaEcho I think you are mixing up two motors here. The ES9 V6 used in the clio V6 was shared between Renault and PSA, but not Volvo. It was completely unrelated to the PRV V6. My buddy Phil is on the hunt for his next Group B pedigree car after selling his Stratos, I keep telling him he needs one of these. Such cool little hatches! 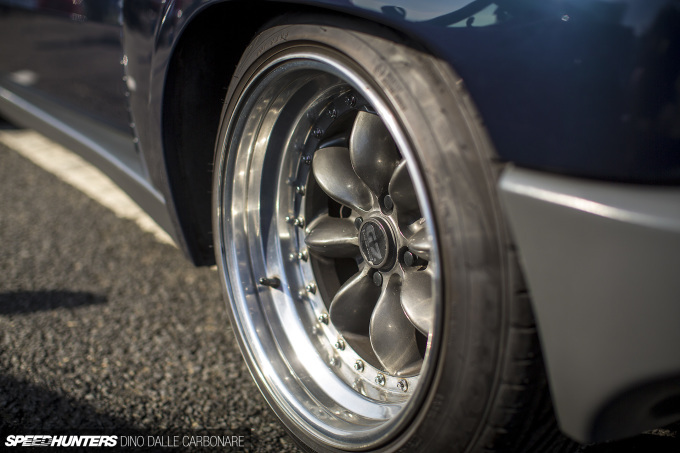 EchoAlphaEcho speedhunters_dino Glad to hear that! 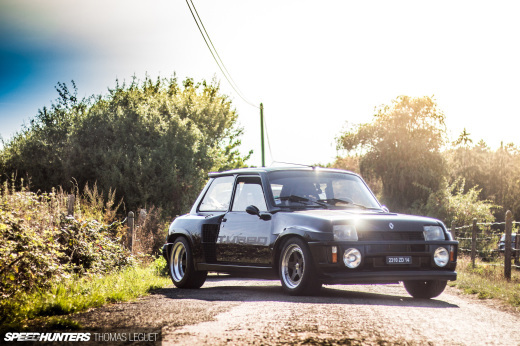 I've always like the Group B era , where it spawn mid-engine Hatchbacks like Delta S4 , 205 T16 , Metro 6R4 , and of course this Renault 5 Turbo ... I have always love the idea of taking your everyday (slightly dull) small hatchback & then totally go ape with it ! Imagine someone take a Yaris & say "you know what ? having Exige V6 engine behind driver seat would be nice"
They used to work on brand new cars at the time, so a few R5 Turbo 2 were exported to japanese dealerships, brand new and already fitted with Ferry kits. my neighbor recently bought an almost new blue Nissan Xterra SUV by working parttime from a macbook. part time off a computer. Flavien Vidal awesome, learn something new everyday, thanks for sharing! the world needs to get back into rally, we need to see more hot hatch rally homologations like this. just by working from a macbook. 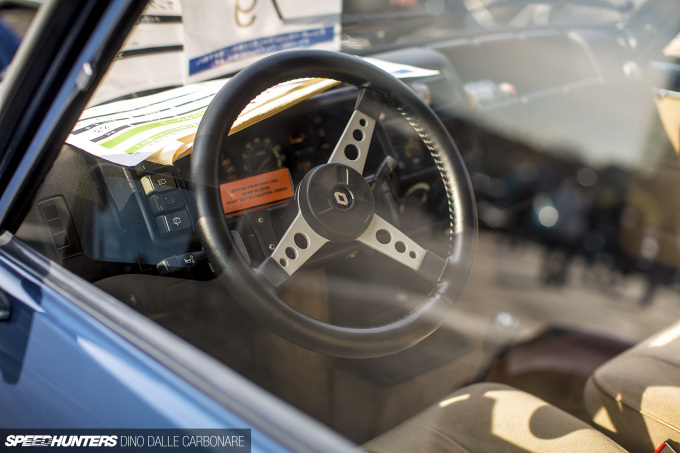 It was amazing what manufacturers were able to accomplish back in the group B days. Still some of the best racing footage you can find to this day!